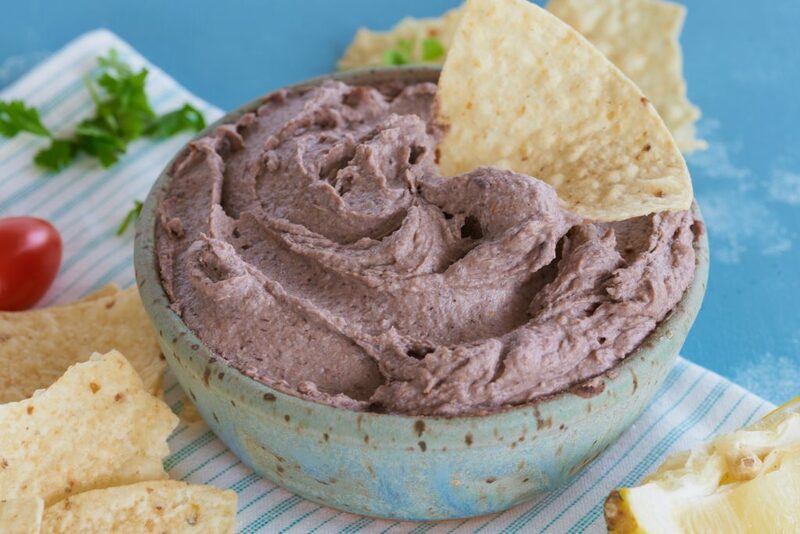 This is a fabulous creamy black bean dip for a party! 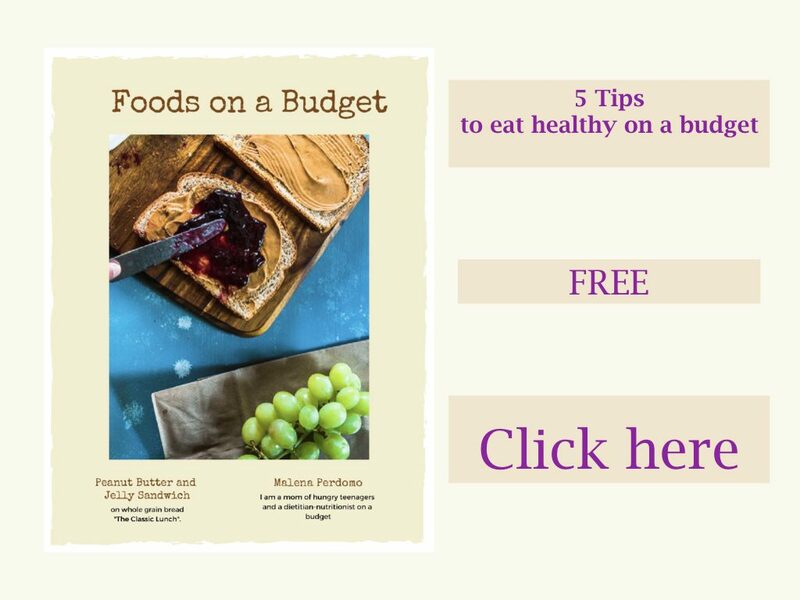 Start with a can of black beans or with fresh cooked black beans. First add some flavor to the black beans by heating them in a pan with some spices. Chop tomato, garlic cloves, and onions and add to the black beans. Season with salt and black pepper. Add fresh herbs such as cilantro or parsley. Let beans simmer for 10 minutes. In a food processor, combine black beans, tahini, lemon juice and jalapeño and process until smooth. You can also use lime juice for this recipe. 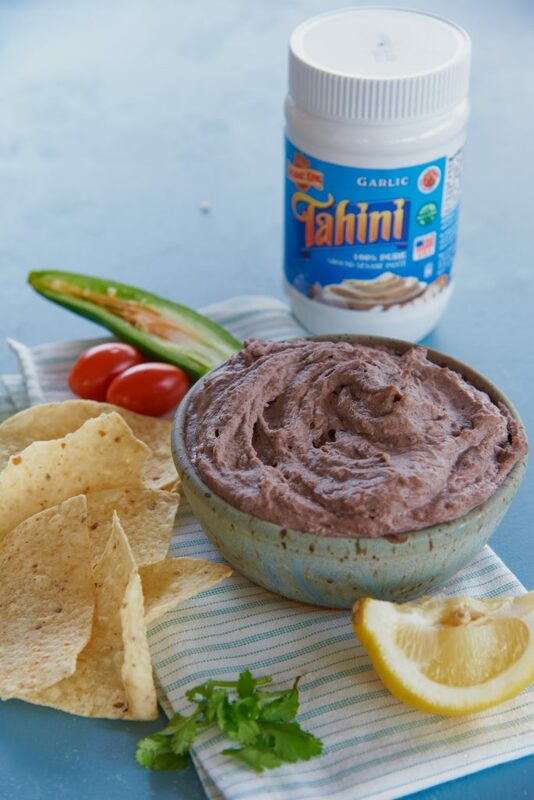 The tahini paste is 100% ground sesame paste and I used the garlic Sesame King Tahini brand. This is the same paste to make hummus dips. Ready to eat with tortilla chips or cut up veggies. 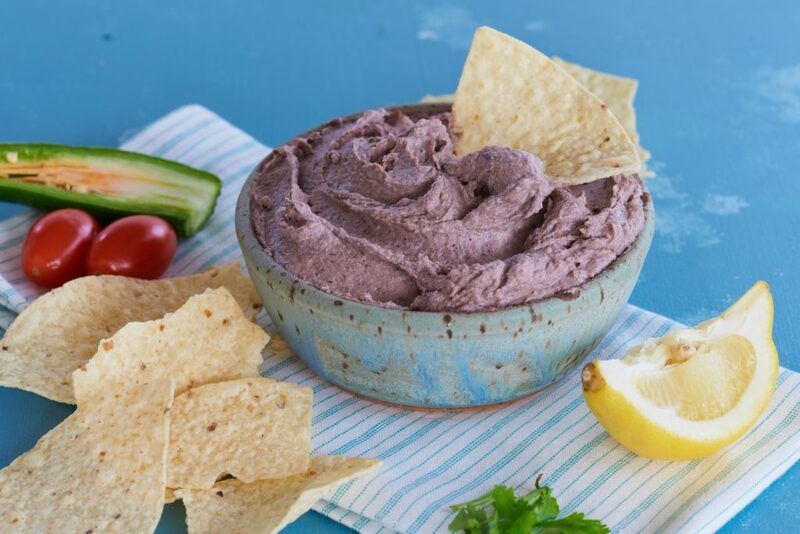 Use this dip to make layers of dip with black beans, sour cream, cheese, tomatoes, onions, guacamole and green onions. Heat black beans in a pan on medium heat. Add chopped tomatoes, garlic and onions. Add salt, black pepper and cilantro leaves. Cook for 8 to 10 minutes. Taste and verify that your beans are flavorful. 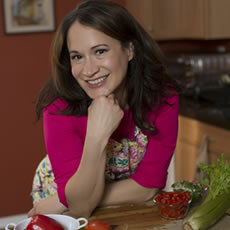 You can also add chili powder or cayenne pepper for more flavor. Remove and set aside. Process black beans, tahini, lemon juice and jalapeño until smooth and creamy.